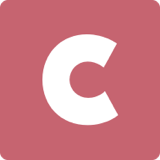 CozyCal is an appointment scheduling software specifically designed for small businesses and solopreneurs. 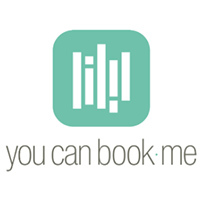 It enables users to customize booking pages, manage calendars, send automatic reminders, process payments, and more. We compiled CozyCal user reviews from around the web and determined that it has generally positive ratings. We also shared its available pricing options. Users who recommended CozyCal said that it has a streamlined scheduling system that is easy to manage and is user-friendly. Some of them also like the simplicity of the interface, which allows them to configure bookings faster. Users who gave CozyCal negative reviews said that they experience occasional glitches such as instances when they could not add new schedules or when appointments are missing. Some of them also said that there is a need to expand its notification features to include SMS. 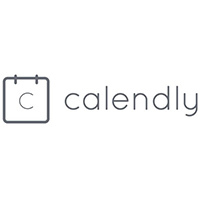 A user who left a positive review on GetApp said that CozyCal’s calendar integration feature works well and lets him track schedules seamlessly. He also likes the customizable click-to-action widget which nicely integrates with his website and effectively captures potential customer bookings. A user who left a negative review of CozyCal on GetApp said that the calendar syncing process is sometimes too slow. He also said that it would be better if there is an option to integrate multiple calendar systems and websites. CozyCal offers a free subscription and two paid plans: Pro ($20/month) and Team (starts at $60/month). The main differences between the plans include the number of appointments, services, and users, as well as access to premium features such as priority customer support, payment integration, white-labeled emails, team booking pages, and more. For the Team subscription plan, an allocation for 3 team members is provided. Users who need more can increase their allocation by adding $10/member/month. Check out the list below of some of CozyCal’s features. Yes. Interested users may sign up for a 10-day free trial. What types of businesses can benefit from CozyCal? CozyCal is ideal for use by a wide range of businesses such as health and wellness services, photographers, repair and maintenance, coaching, retail, and more. Can CozyCal sync multiple calendars? CozyCal is built for individual service professionals and small business owners. Currently, it can only be integrated with a single Google calendar. The CozyCal team is working on improving this feature to accommodate more customers. How does CozyCal reduce no-shows? CozyCal allows users to customize automated confirmation emails and reminders that are sent to clients upon booking, which can help reduce the chance of having missed appointments. This video provides an overview of how CozyCal automates the scheduling process for a more efficient business process. Not sure if CozyCal is the right fit for you? 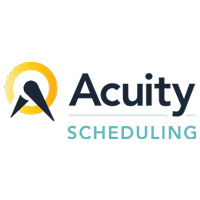 Read our reviews of all top appointment scheduling software or check out one of these three CozyCal alternatives.